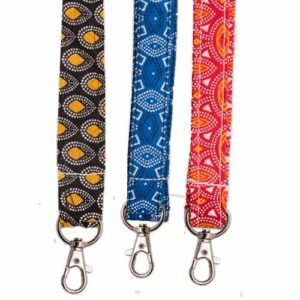 We make a variety of very attractive lanyards from shweshwe, natural seeds, beads or attractive Petersham tape. 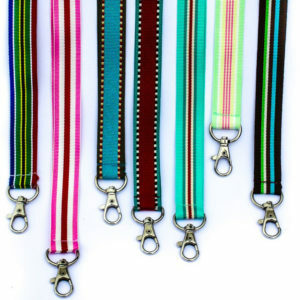 The lanyards are made by community projects, upliftment projects and job creation initiatives. Purchasing these products therefore will not only leave your conference delegates delighted but they will be contributing to sustainability through job creation in South Africa. They are a fantastic addition to your conference accessories. Supporting community projects and upliftment also makes it a real feel good purchase and adds a “story” to the product which adds so much value. And they are so attractive that they will become a talking point among delegates. They cannot be branded. Made by community groups in South Africa from South African manufactured tape. With 1 x snap hook. 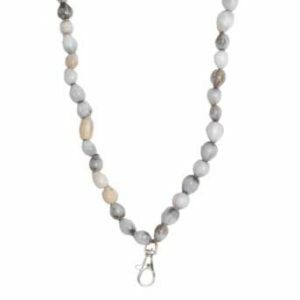 Lanyards handmade in South Africa out of dried seeds which are harvested from an exotic reed in KZN and form a natural bead. They are a source of income for rural women who collect and string these seeds into lanyards, necklaces and sunglass holders. With snap hook. 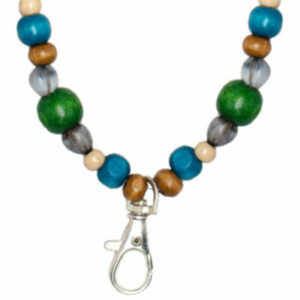 Handmade in South Africa out of mixed wooden beads and dried seeds which are harvested from an exotic reed in KZN. These are a source of valuable income for rural women who collect these seeds. With snap hook.